“What’s the point of Catch and Release Fishing, you spend all that time and money only to throw your catch back”? My answer is simple, I love catching them and seeing others catch them! 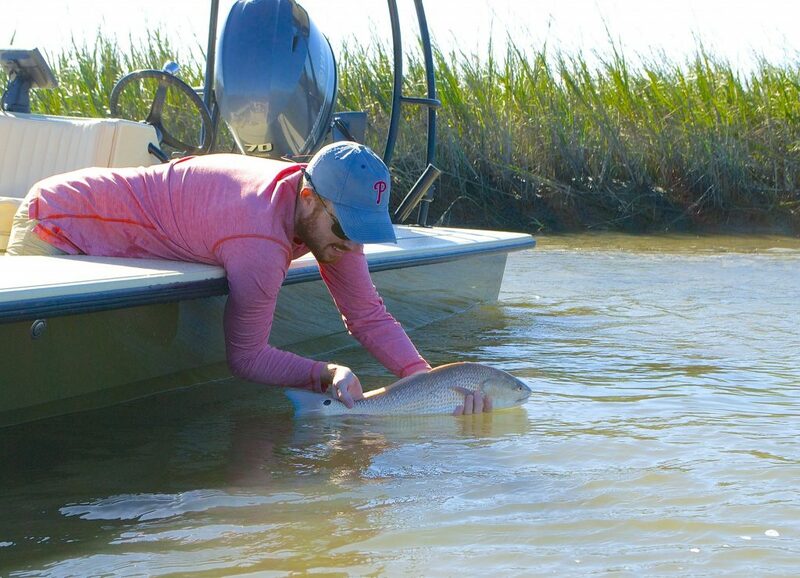 The exhilaration and heart pounding excitement of seeing a big Redfish take a top water plug or fly is what gets me out of bed at 4 am. Like most of my clients, I don’t fish for food. Simply put, I fish for fun and relaxation. The catching part is just a small percentage of the experience for me. Now don’t get me wrong, I enjoy catching and eating fresh fish but if I decide to keep fish for dinner it’s almost always flounder. Flounder numbers seem to be doing well especially with the new regulations in July of 2017 . Two keeper flounder will yield 8 filet which is more than enough for my small family of three. 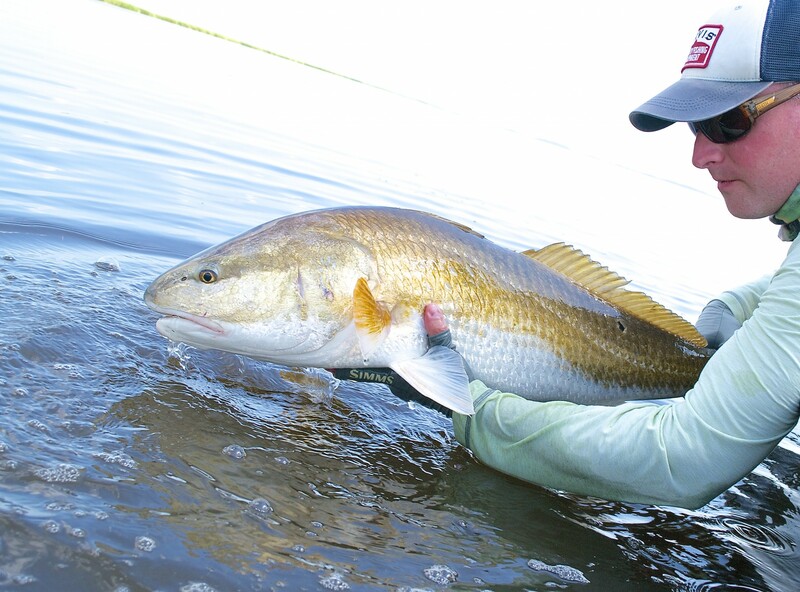 South Carolina DNR’s last study showed RED DRUM NUMBERS ARE DOWN . 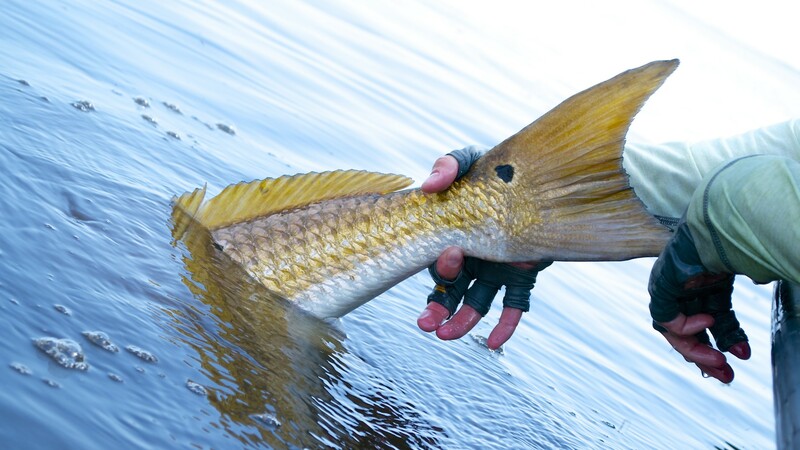 Red Drum, also known as Redfish, are the most sought after inshore species from North Carolina to Florida. These fish receive a tremendous amount of angling pressure. 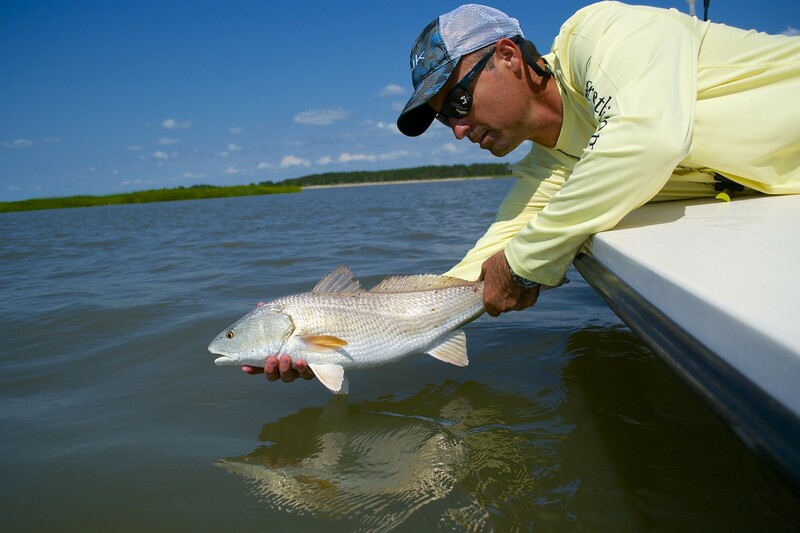 Redfish are known for their aggressive bites and shallow water behavior like tailing . 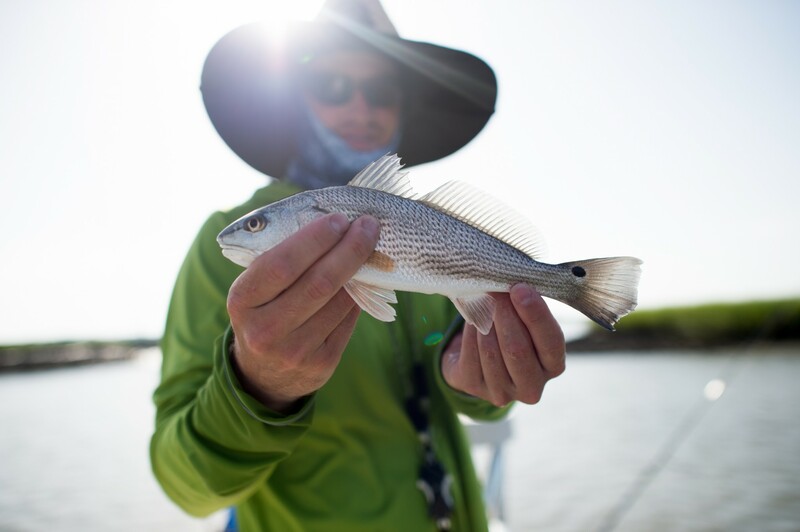 With studies showing Redfish numbers down either from bad spawning years or simply fishing pressure, I feel it is my duty as a guide and angler to release ALL the Red Drum caught on my boat. THEY GET BIGGER. Once a legal fish has landed in the frying pan, it can’t grow bigger and spawn. We need spawning fish to make more fish. 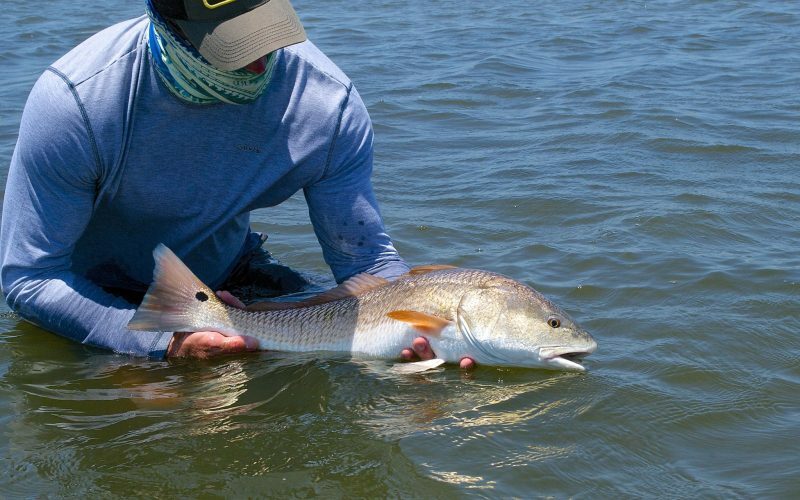 I have had countless discussions with other guides and recreational anglers that all agree our Redfish numbers are not what they were years ago. 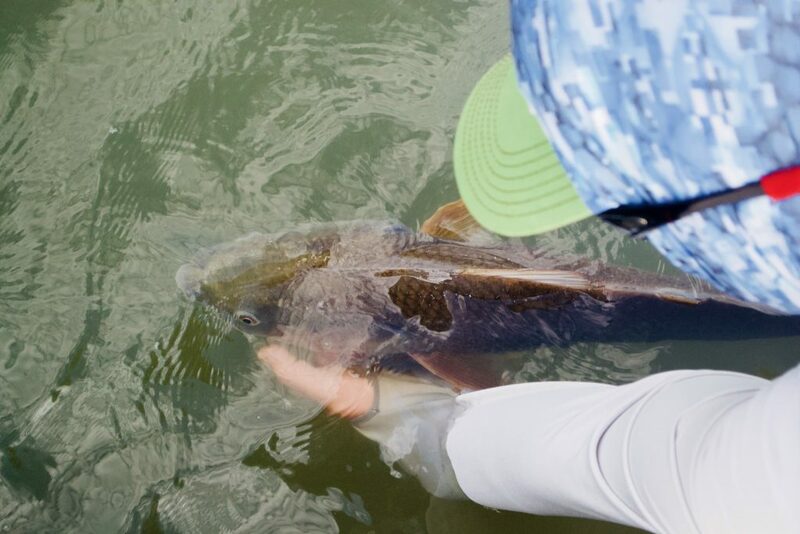 Catch and Release fishing benefits our kids and the future of our fishery. Let’s use the Southern Flounder and some simple math. If the average angler fishes 20 times a year and keeps a limit of ten flounder, that’s 200 fish. Now consider charter captains who are logging hundreds of days a year! Limiting take for your clients or just taking what they’re going to eat that night is a great step in helping ensure a healthy population of inshore fish. The winter of 2017 /2018 was one of the coldest winters on record. The weeks of freezing temperatures South Carolina experienced devastated our Speckled Sea Trout. Reports of stunned and dead fish from Charleston SC to Wilmington NC were reported. South Carolina Department of Natural Resources urging catch and release to help spotted seatrout recover. Let’s all do our part in taking care of the amazing resource we all enjoy so much. Use circle hooks to prevent gut hooking. It’s my hope we can all continue enjoying our fishery for many years to come! Well written – true fly fishermen in the mountains I fish feel the same. Keep up the good work.